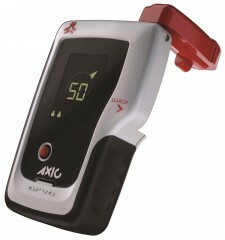 The perfect gift for your ski partner, the ARVA Axio Beacon might give them the best chance of finding you if you’re buried in an avalanche. Other beacons rely on a very short third antenna which is limited by the depth of the housing. This renders the antenna useful only in the final search phase: refining the area to probe. In contrast, the Axio’s third antenna is designed to be unfolded away from the housing to maximize its reception. ARVA claims that deploying a large third antenna allows it to assist in all phases of the search, which would reduce wandering about along curved flux lines. It’s also claimed that this feature improves the multi-burial function by more accurately distinguishing among different burial locations. You’ll certainly appreciate any possible shortening of the search path, which is often slow going in a debris pile on an angled slope. 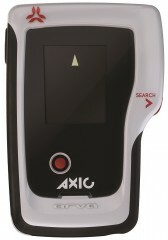 Spheric Search Technology is designed to enhance the victim targeting function. 60m search strip minimizes the number of passes need to find a buried partner. Simultaneous detection of multiple victims presented as a scrollable list, each markable. Group check feature lets you do a quick trail-head poll to ensure everyone is beeping. Motion detector automatically puts the beacon back into transmit mode if you are still. Dynamic interference management aims to lessen the chance for a phone to interfere. 250+ hours of operating time using 3 AAA batteries that are easily replaceable. In France, people refer to avalanche beacons as “ARVAs”. Know this company. I've been testing a demo unit while assisting with the assessment at the Beacon Reviews website. Steve gives it Four Stars there and I'll do the same here. For such a high-tech device, the biggest drawback is rather low-tech: just opening the very small buckle closure and then removing the unit from its very tight pouch. This is difficult inside with warm bare fingers, and perhaps nearly impossible for some people with cold number fingers inside bulky winter handwear in a panic situation. 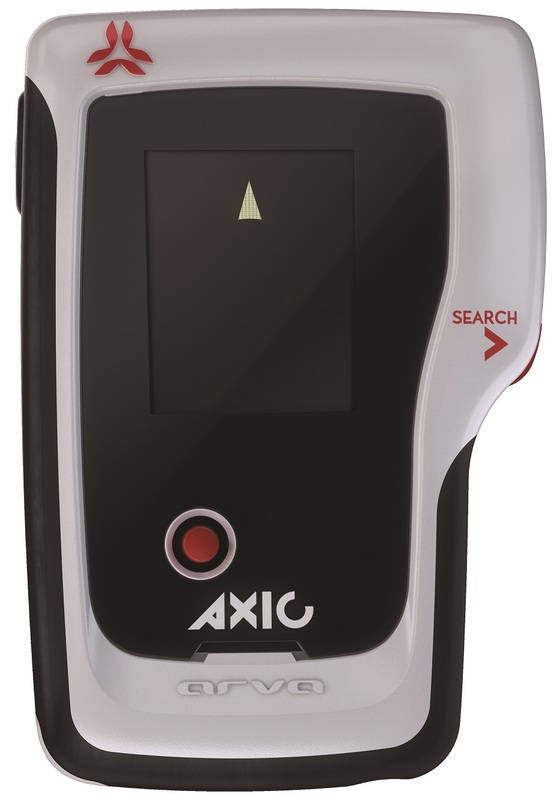 The Axio offers many custom options that will certainly appeal to many users, but the controls and displays to access and understand them can lead to confusion. Overall, if you have nimble fingers and like more complex electronics, this model might appeal to you. But otherwise, more suitable choices are available (including from ARVA's own line).